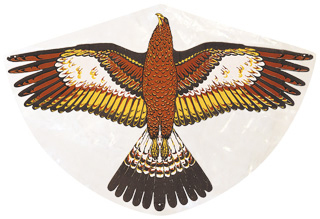 Our plastic Golden Eagle Kite has a 36" wingspan. It can be flown in winds up to about 18 MPH. Wooden frame with plastic sail. Includes line and handle. Click here to see predator kites in action.